Have you recently had a tree cut down? Chances are its stump was left behind. Trees are a beautiful addition to your landscape. But when the time comes they have to be removed, their stump may become more of a nuisance than a welcome feature. You probably have one sitting in your yard for some time and contemplating whether to hire a professional tree service company to have it removed as well. If you’re still on the fence about your final decision, here are five factors you may want to consider. 1. They can be an eyesore. You want your yard looking as attractive as possible. This is especially the case if you often welcome guests into your home or are looking to sell your property. Stumps don’t look good so it’s worth it to have a tree specialist remove them for you. 2. They can pose safety hazards. If you have kids or pets that love spending time in your yard, it’s best to ensure those stumps are removed immediately. Small stumps that are hard to notice or are covered by plants can cause trips. Anyone, even adults, can sustain injuries, bruises, or even sprains. The last thing you want is to risk the safety of your loved ones when it can be avoided. 3. They can be harmful to nearby plants. Tree stumps left behind can encourage tree growth. 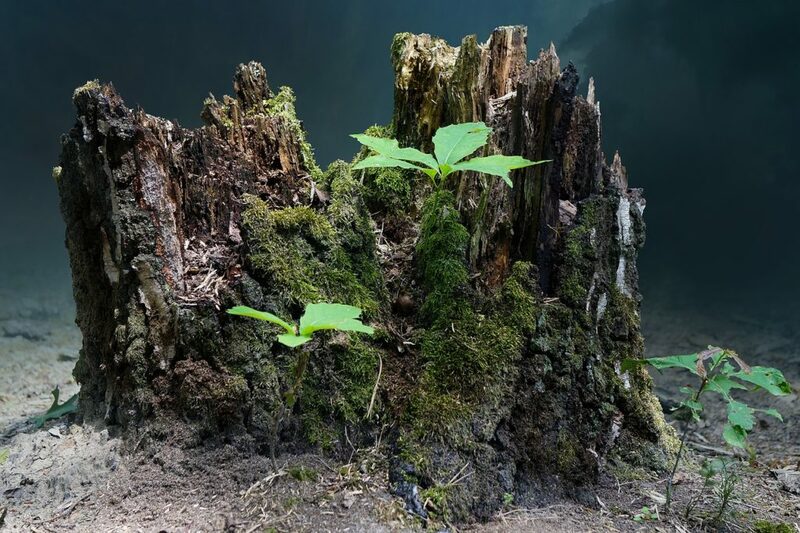 It seems as though a good news but the problem is little plants can also grow around the base of the stump. These plants can be stubborn. They keep sprouting back that’s why they can be costly to remove. Apart from that, these new sprouts also tend to take away nutrients from surrounding plants. 4. They can be a bait for insects. As stumps begin to rot, they may also become a magnet of insects such as termites and wasps. These insects are not only potentially dangerous to your yard, they may also cause infestation problems in your home. Don’t let these pests get the chance to build nests on your property. Call in professionals as soon as possible for stump grinding services. 5. They’re consuming precious yard space. Those spaces that stumps are occupying can still be used for something more beneficial. You can install a water feature, plant a new tree, add in some outdoor furniture, or simply free up space. If you have a small yard, you want every corner of it to serve a purpose. Stump grinding requires the use of a machinery, which in turn takes expertise to ensure proper operation. Stump grinders vary in size. Deciding which one to use depends on the size of the stump that needs to be removed. It’s possible to rent or borrow a stump grinder but it’s better to be sure about your safety. This machine uses a high-speed disk that grinds the wood into small chips. Safe footing and proper attire are crucial. It will also save you time and energy to let tree care specialists take care of the job. After all, stump grinding service is easy on the pocket. It gives you peace of mind in return and also makes a huge difference in the overall look of your property. Need Professional Tree Stump Grinding Services in Metro Atlanta? Our team at North Star Tree Services provides tree care services in Gwinnett and Dekalb County. Apart from tree stump grinding, we also provide both residential and commercial property owners tree preservation, trimming, and full removal services. Call us today at (678) 562-1068 to request a free quote.